Two Santee Teachers were honored at Legoland on Saturday, June 6, during the seventh annual “Teachers Are Heroes” award ceremonies. The awards are sponsored by Lincoln Financial Media, the San Diego County Office of Education, and Azusa Pacific University. Teachers from Oceanside to Chula Vista and from San Diego to El Cajon gathered with dozens of cheering students and parents as representatives from the sponsoring organizations introduced the honorees. The new building at Cajon Park is almost ready for students. This week the students brought all of their class books home, and over the weekend the teachers will be moving their classroom “stuff” over. This will nearly complete the first major phase of construction at Cajon Park and the Santee School District. 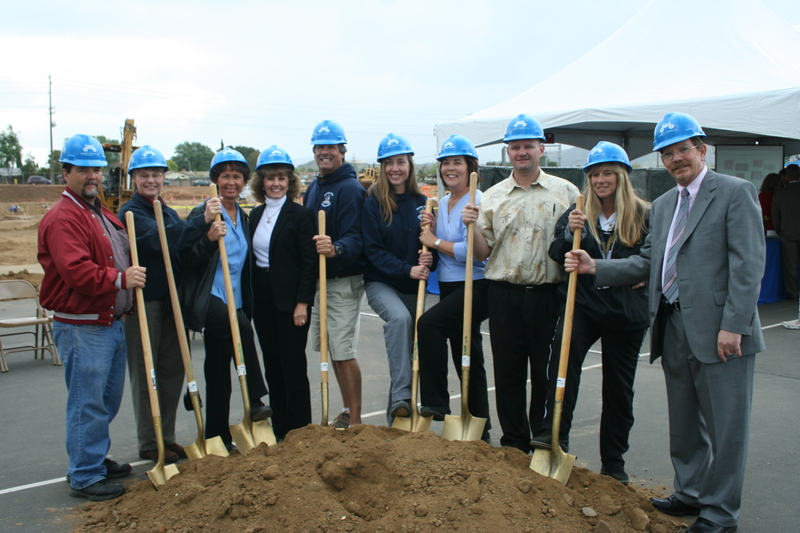 The series of projects was funded by a proposition (Prop R from November, 2006), with the official groundbreaking ceremony last April (click here for my earlier post). At Cajon Park, this included refurbishing and modernizing existing classrooms and constructing a new 18-classroom building for grades 5-8. Having taught in the district many years ago, as well as at other schools around the county, I know how much the junior high teachers are looking forward to having dedicated classrooms. This goes double for Cajon Park, where the 7th and 8th grade classes have been in portable classrooms for years (I’ve taught in those, also). Over the next few months they will be completing work on the upgrade of one last existing classroom building and the Library/Media Center. A ribbon-cutting ceremony is planned for sometime in the spring. You can find information on the modernization at the Santee School District Modernization website. Check out the most recent photo in the series on the Cajon Park Construction page. 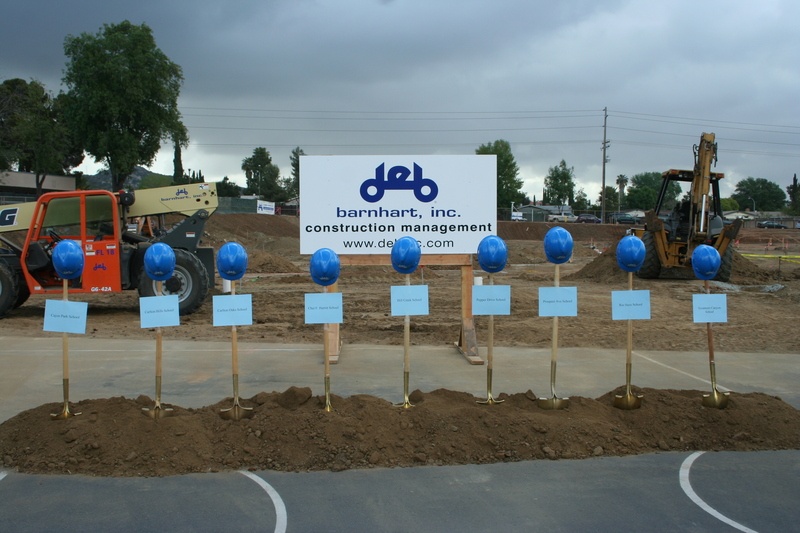 On April 9 the Santee School District held a groundbreaking ceremony at Cajon Park School to celebrate the beginning of their modernization program. This was made possible by the passage of Proposition R last year. Altogether, $129 million will be spent to improve facilities at the nine schools in the district. Cajon Park was chosen as the symbolic representative for the work planned for the entire project. At the ceremony were representatives from the school, the district, the builder, and the community. Dr. Lisbeth Johnson, Superintendent of Santee Schools, welcomed dignitaries and visitors, and two Cajon Park students, eighth-grader Jennifer Elhke and kindergartener Joel Oliver, led everyone in the Pledge of Allegience. Speakers included Santee School Board President Dan Bartholomew and Board Member and Cajon Park graduate Dustin Burns. Others in attendance included Santee Mayor Randy Voepel, Councilmembers Jack Dale and Brian Jones, Chamber of Commerce Executive Director Warren Savage, and members of the Independent Citizens Oversight Committee. Principals from all nine schools were there to receive symbolic shovels from their respective ASB Student Representatives. 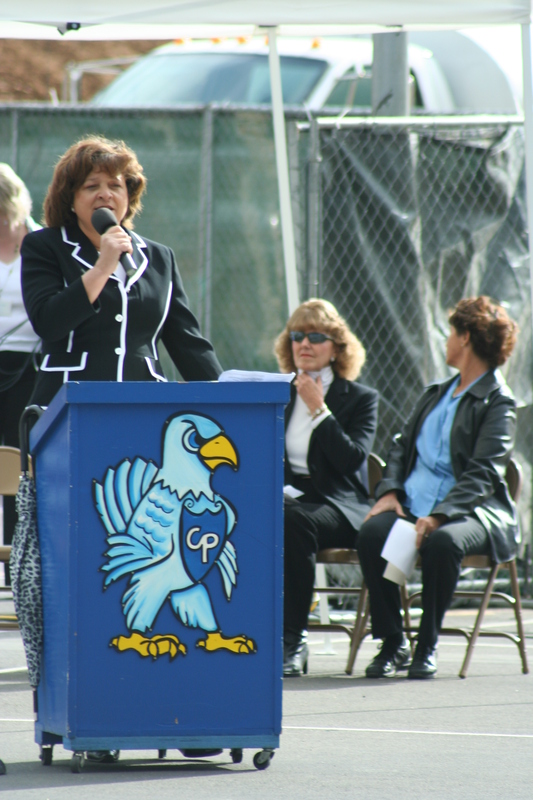 Cajon Park Principal Marcia Ginn-May and teacher Allwyn Gazi spoke following the presentation of shovels. Finally Glynna Hoekstra, representing General Contractor Barnhart, Inc., presented an engraved ceremonial shovel to Dan Bartholomew. Following the official ceremonies guests were invited to come and have their pictures taken with shovels and hard hats.